Bronzing is no longer just for your face. This Spring-Summer bronze reflections will be worn in hair. Discover a new Hair Bronzing trend. Have you ever go out without a bronzer? No? Then you’ll love the hottest hair trend for Spring-Summer. Hairdressers even predict that Hair Bronzing will replace even the most popular ombre look. Many celebrities have already succumbed to this trend. Look at the hairstyles by Jessica Alba, Chrissy Teigen, Olivia Palermo or Rosie Huntigton-Whiteley and inspire yourself. Over the next few months, we're going to see everyone bronzing! What Is Le Hair Bronzing? As the name suggests, this trend is inspired by bronze makeup. The Hair Bronzing creates the same effect on the hair what bronzer does for your skin. The look is all about embracing the warmer tones, giving a natural looking summer radiance to the hair that will fit perfectly with your tanned skin. Bronze delivers the perfect sun-kissed look that softens everyone's skin tone. Moreover, the bronze look is low-maintenance because it only requires root smudging and you don't have to worry about silver shampoos and blue masks. Suitable for blondes and brunettes. Blondes can soften their colour with blended hues of bronze and brunettes can lighten their locks with the addition of warmth. If you have thinner hair, bronzing is great because it can add a dimension, giving the appearance of thicker tresses. Bronzing is really for everyone! 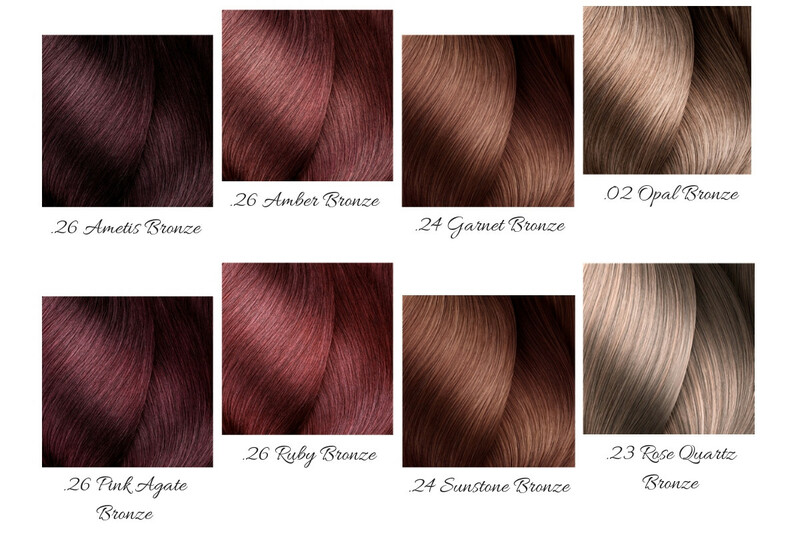 L’Oréal Professionnel has created 8 new beautiful shades boosted in bronzing reflects, extended across Inoa, Majirel a Dia Richesse: 3 shades for light bases, 3 shades for medium bases and 2 shades for dark bases. Create a perfect bronze shade for your clients and a sophisticated color with brilliant bronze radiance. Inoa permanent colors are used with Inoa Rich Developer (3%, 6% or 9%) in 1:1 ratio. Processing time is up to 35 minutes. Majirel permanent colors are mixed with Oxydant Cream Developer. 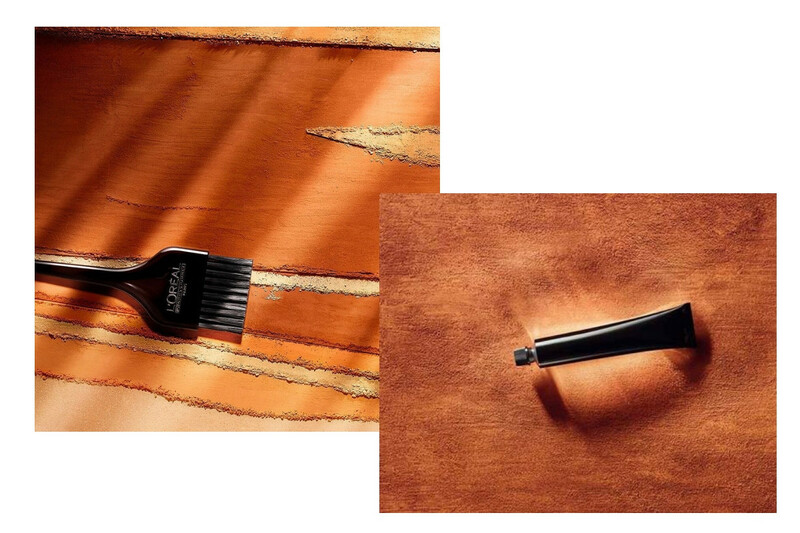 Dia Richesse semi-permanent colors are used with Dia Activateur (1,8%, 2,7% or 4,5%) in 1:1,5 ratio. The processing time is up to 20 minutes. Give your hair the perfect refresh with Inoa .23 Rose Quartz Bronze. A natural looking and shiny blond look to give your hair the perfect refresh it needs. Give the hair the perfect contrast it needs by combining lightening and hair bronzing colour to create your ideal personalized new colour. Use Dialight 8 for roots and Majirel .02 Opal Bronze for lengths and ends.